Once the athletes are gone what happens to the infrastructure? Well it gets dismantled. 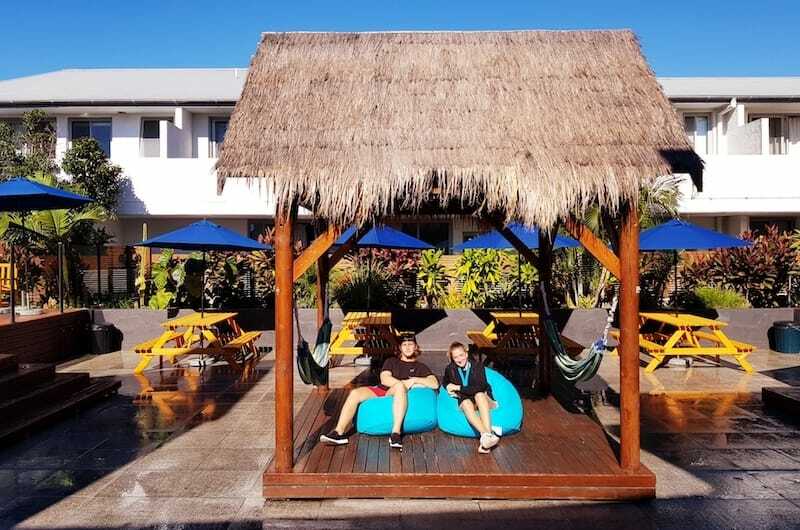 Little thought is given to what happens to all the rooms, beds and chairs from the athletes village, but that’s where Nomads & Base stepped in to secure the contents. 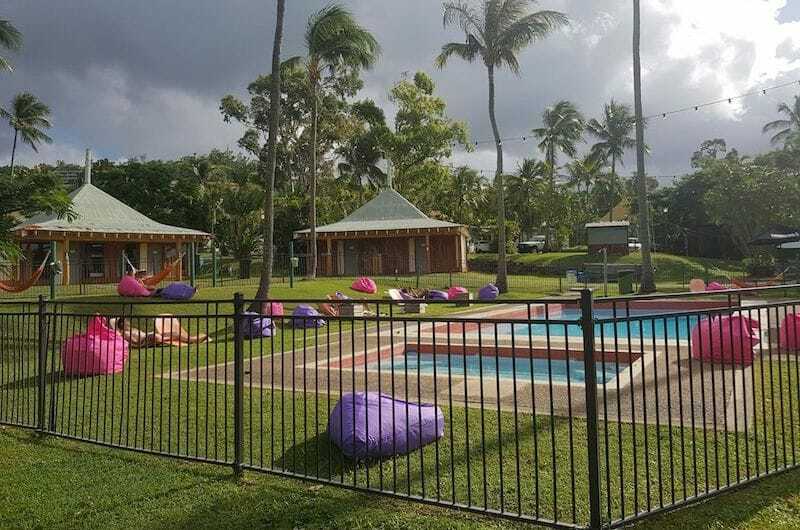 “We have just undertaken the largest company wide upgrade to date, $2 million dollars’ worth of furniture to modernise and lift the standard of all our properties, we are thrilled with the result and the guest feedback has been extremely positive”, explains Dan Bunning, TAG Director. We’ve purchased the mattresses and various other bits and pieces of furniture that otherwise would have gone to waste. In total we’ve purchased nearly 7,000 mattresses, nearly 14,000 fluffy pillows, over 4,000 bean bags and that was just start. The list is long, just imagine everything a hotel room has… that and more was headed out to our sites. “The logistics were incredible, we had 6 weeks to move and filter in the furniture and bedding which came in 74 large b-double trucks and 17 shipping containers. The teams were amazing and the spirit in which they achieved these amazing results inspiring”, Meg Allen-Armistead, Group Commercial Manager. 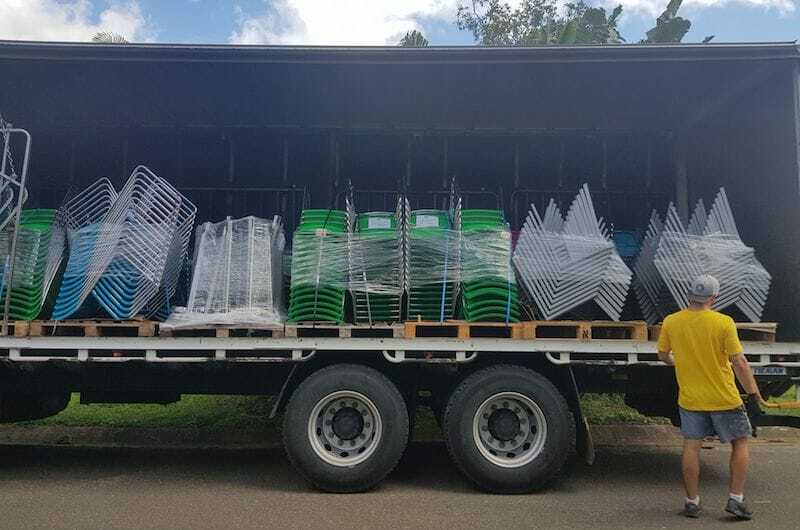 The furniture was shipped to all sites, each site getting a uniformed fit out for sections of the rooms, bar areas, common areas and receptions. Our guests will now see glimpses of our new brand standards throughout the group. Across the company we have integrated the new mattresses and pillows to all sites, we have also found ways to “pay it forward” by donating a number of mattresses to charities and organizations chosen by our management teams. The goal was to raise the bar and that’s what we have done, we have added lockers to properties requiring them, added in room safes for many of our private rooms and added bedside tables to multiple room types. Common lounge areas where our guests spend most of the time have seen upgrades to couches and the addition of brightly coloured bean bags. 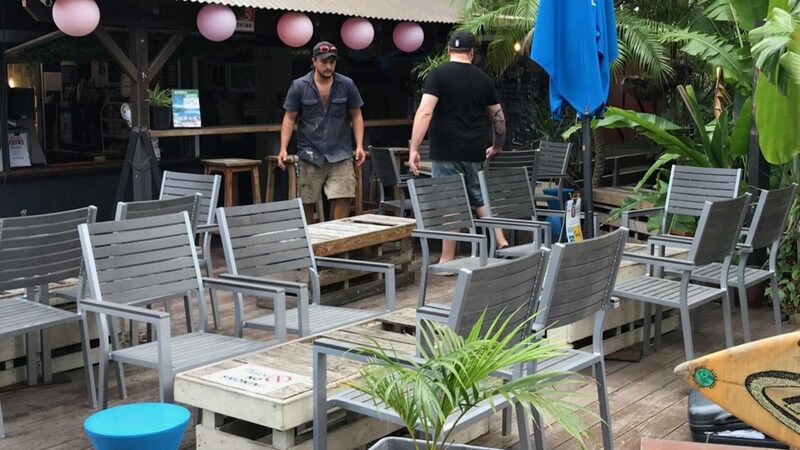 Outside furniture has also been upgraded with pool chairs, umbrellas & stands… and keep an eye out for the umpire chairs that sit beside our beach volleyball courts in Qld! A huge few months, but all will agree a gold medal effort.